Most suppliers to the Australian market understand that they must obtain a Certificate of Approval or Conformity before selling products listed as declared articles under the NSW Gazette or as Level 3 products under AS/NZS 4417.2. Whilst not mandatory, for Non-Declared articles, it is highly advantageous to obtain a Certificate of Suitability as it provides an independent assessment of a product’s compliance to the applicable product standard/s. All electrical appliances and equipment sold in Australia and New Zealand must meet the requirements of the relevant safety standard/s or those of AS/NZS 3820, even if a certificate is not required. Responsible Suppliers listed on the EESS make a declaration under law to this effect when registering as such. If a certificate is not obtained for such products, the supplier may find afterwards that the supporting documents (test reports) are deficient. Unfortunately this may only be realised when a product is involved in an incident or during a compliance audit by a regulator. In such instances the supplier may face significant fines and other penalties for selling non-compliant products in addition to the risk and cost of a product recall. 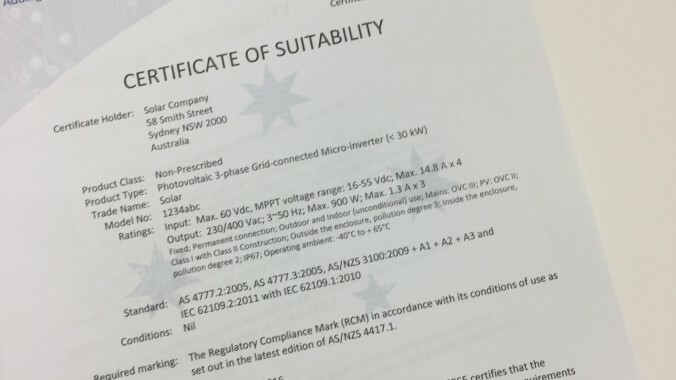 Obtaining a Certificate of Suitability from CCS before selling Level 1 and 2 electrical products into Australia and New Zealand is one of the best ways to confirm compliance before sale and to reduce risk. Our JAS-ANZ accredited certificates are recognised by electrical regulators as confirmation of compliance for such products. 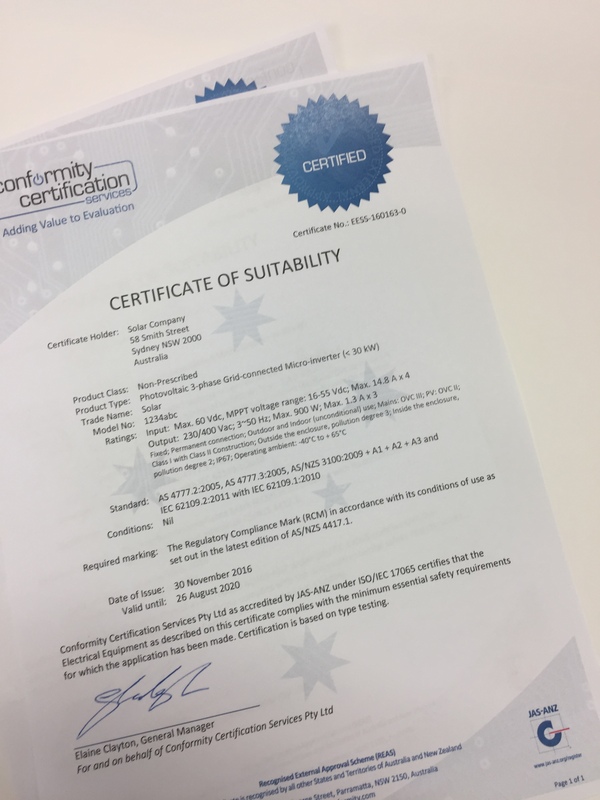 CCS can provide both Certificates of Suitability or Approval, for further information please call Elaine on 1300 654 356 or click here to apply for a certificate now.